Fabergé Eggs have beguiled collectors, from Kings and Queens to prominent entrepreneurs and modern day wealthy social royalty, for over a century. The exceptionally precious creations are some of the most valuable and coveted objects ever to have been made. Now, in a contemporary fashion, two luxurious forces have joined to create a new Fabergé Egg. 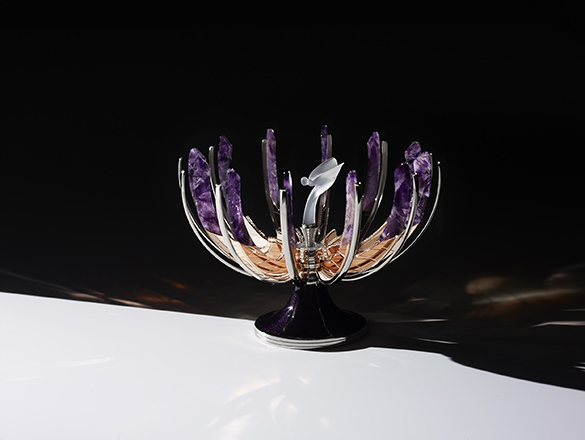 The result of the union between Fabergé and Rolls-Royce Motor Cars is a singular and unique objet d’art: the ‘Spirit of Ecstasy’ Fabergé Egg. 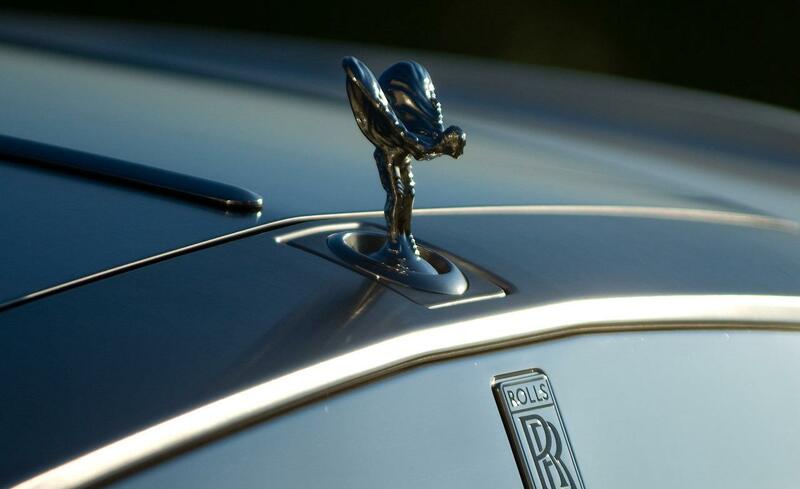 The Spirit of Ecstasy has adorned Rolls-Royce motor cars since 1911. “’The Spirit of Ecstasy’ Fabergé Egg was born from an intrinsic desire to further the realms of Bespoke personalisation. 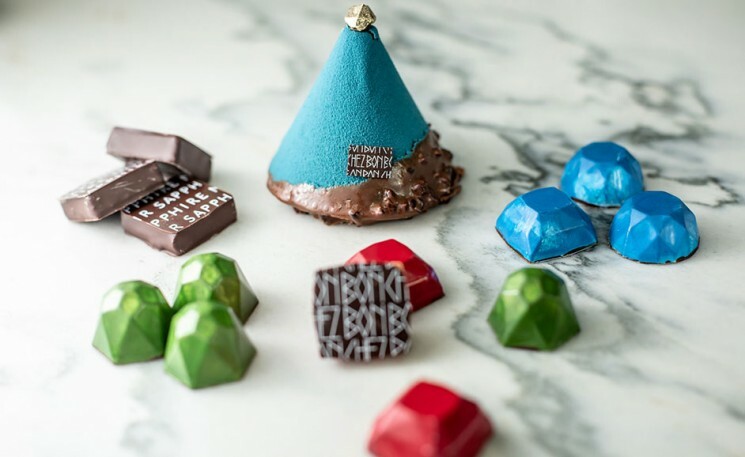 Responding to the continuing demands of patrons in search of unique and cherished possessions, a designer at the House of Rolls-Royce sketched an egg, igniting a fascination that will undoubtedly become one of the most collectable items of modern times,” said Torsten Müller-Ötvös, Chief Executive Officer, Rolls-Royce Motor Cars. A team of seven craftspeople from Fabergé undertook the challenge of fabricating the design. And the Egg is unmistakable in its character. Design cues from Fabergé’s heritage are woven into the intricate design, which stands at 160mm and weighs just 400g, with the Egg harnessing the ‘surprise and delight’ attributes for which Imperial Eggs are celebrated. 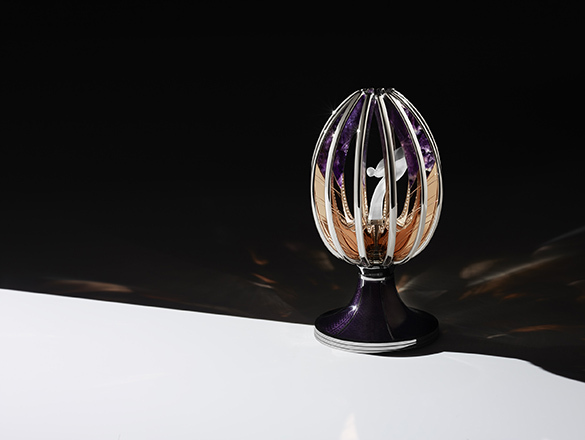 The Egg rests on an engine-turned, hand-engraved, purple enamel guilloché base of 18 karat white gold. Arms of rose gold not only shape the egg, but act as a protective chamber for its precious inhabitant. 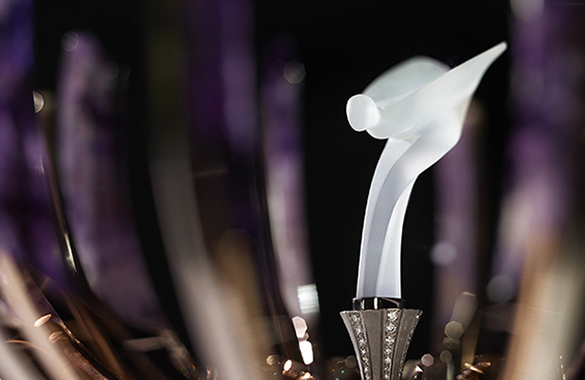 A discreet lever at the base of the stand opens the boughs to present the Spirit of Ecstasy, hand-sculpted in frosted rock crystal, standing nobly in her opulent surrounds. 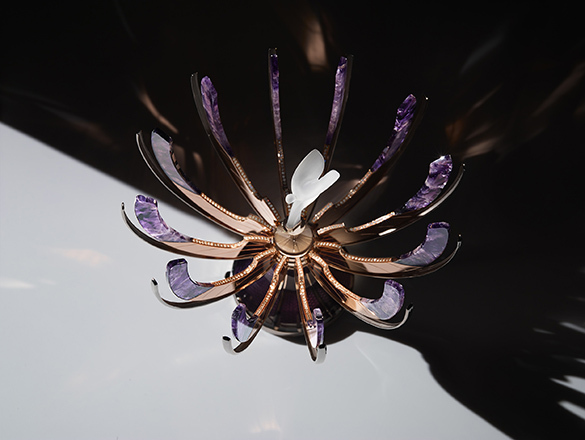 The rose gold vanes, embellished with nearly 10 carats of round white diamonds, resolve into swathes of natural amethyst weighing over 390 carats, specially selected for its color saturation and quality. Indeed, this ‘Spirit of Ecstasy’ Fabergé Egg, only the second to be commissioned in the ‘Imperial Class’ since 1917 – a category reserved only for Fabergé’s most illustrious creations – is said to celebrate the history, heritage and legend for which both Rolls-Royce and Fabergé have been revered over more than a century. The ‘Spirit of Ecstasy’ Fabergé Egg will be premiered at the House of Rolls-Royce in Goodwood, West Sussex, England, to a host of distinguished guests and venerable patrons on 23 October, 2018. The Egg will then be on public display in Fabergé’s London window this Christmastime. It is destined for the residence of a great collector of both brands.